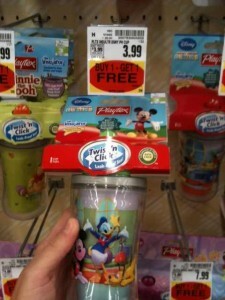 Kroger’s has the Playtex Sippy cups B1G1 FREE! use (1) $2.00/1 ANY Playtex Baby Product Total=$1.99 for 2! use (2) $2.00/1 ANY Playtex Baby Product Total=$3.99 for 4! Head over to The Realistic Couponer for Chelsea’s full write-up & other great deals!